Manchester's Kelsey Eichenauer won the individual championship at the Wabash County Tournament Saturday, Aug. 11. Photo by Eric Christiansen. The Manchester girls golf team distanced itself from the field, winning its third Wabash County Tournament championship by over 50 strokes Saturday, Aug. 11., at Honeywell Golf Club in Wabash. Kelsey Eichenauer won the individual championship with a 40-39 – 79, leading the Squires to a team score of 347. Wabash finished second place with a 401, while Northfield placed third with a 415. Southwood didn't have enough golfers to place as a team. School will be back in session for barely a week when Week #1 of Indiana High School Football begins on Friday. Two-a-Day practices began on July 30 in preparation for the 2018 campaign. 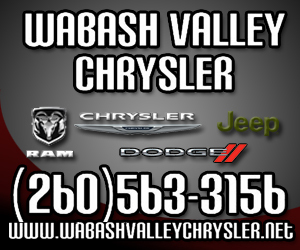 All four Wabash County teams have been hard at work conditioning, installing offensive systems, defensive spreads and gearing up for the season. Until the late 1960’s, there was an unwritten rule between sportswriters and professional athletes that what was seen and heard of athletes inside the clubhouse or outside the locker room, in restaurants, bars or hotels was “off base” and assumedly outside of what was written in newspapers, or reported on the radio or television. That is not the way it is in this age of social media. In fact, for whatever reason, an athlete or entertainer’s every move has become public knowledge, especially when that behavior is questionable. Gossip columns in entertainment publications were common as far back as the 1930’s but athletes were largely left alone. This seemed to hold true until the best-selling book Ball Four, a book by baseball pitcher Jim Bouton that chronicled his 1969 season with a frank, insider's look at a professional sports team. The 2018 FunFest Table Tennis Tournament will take place at Scout Hall in Warvel Park, located at the intersection of Seventh and Markets on Saturday, Aug. 11. Parking will be available. The tournament begins at 9 a.m. and will end by 4 p.m. 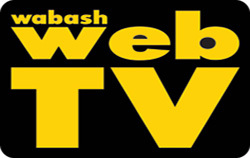 The Wabash County singles event will only be open to residents of Wabash County. The tourney will have competition in seven categories, including one doubles and mixed single events. The event is hosted by Manchester Table Tennis Club and sponsored by Custom Magnetics of North Manchester. A couple of weeks ago, the day of the All-Star Game, Major League Commissioner Rob Manfred said that star outfielder Mike Trout would be an even bigger start if he would spend more time marketing himself. Trout, 26, is a two-time American League MVP and a seven-time All-Star in seven seasons. He plays on the west coast so there is a perceived east coast bias because two-thirds of the baseball population of fans has gone to bed before Trout goes to bat for the first time each night of the season. Some people probably aren’t as familiar with him as they would be if he played for the New York Yankees or the Boston Red Sox instead of the Los Angeles Angels. However, Trout is a tremendous player, although understated by nature. His stats match up to players like Mickey Mantle and Willie Mays. That is impressive and actually legendary when you think about it. But the fun-loving , yet humble kid from New Jersey also compares with baseball legend Stan Musial is being the consummate “gentleman of the game.” In fact, Musial was described like this upon his death in 2013, “as leading the league in being a great guy.” Well, Trout is close. It is more important to him to be a good teammate, work on his craft and continue to be humble … a refreshing trait in this day and age of inflated egos and chest pumping. Instead of drawing attention to him when he makes a good defensive play or hits a home run, Trout continues to be understated. KOKOMO – During its tournament run, Northfield’s baseball squad had made a living on superb pitching and defense, while scratching out enough runs to survive and advance. 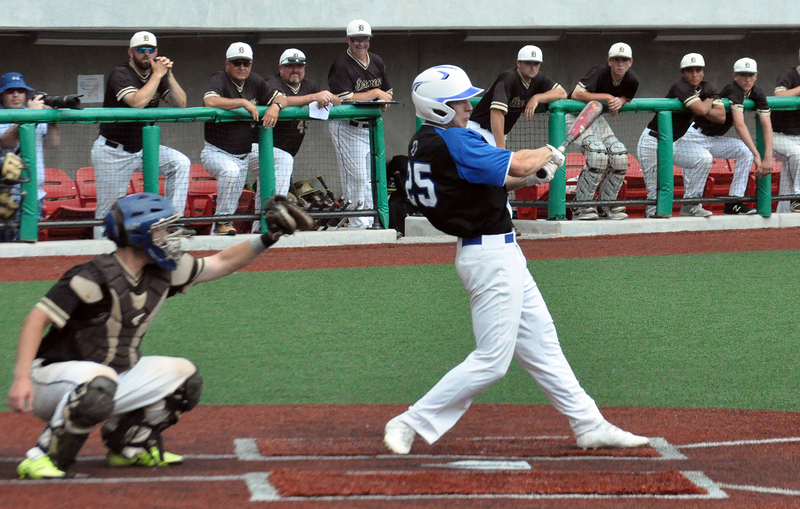 The Norse manufactured a couple runs early in the Saturday, June 9, Class A Semistate against Daleville, but their pitching and defense were not as sharp as it had been this postseason in an 8-2 loss to the Broncos at Kokomo Municipal Stadium. The loss for Northfield (16-15) snapped a five-game winning streak. Four Big Ten teams qualified for the postseason in NCAA Division 1 baseball this season. That is a feat in itself simply because of one fact. The Big Ten is a “cold weather” conference based predominantly in the Midwest, therefore the opportunity to play games in warm weather is shorter, and because of that, schools have trouble recruiting as many top players because they are drawn to the south where they can play better competition and have a longer season. Minnesota, Indiana, Purdue and Ohio State qualified this year and played in the regionals last weekend. Indiana, Purdue and Minnesota all got to the championship games of their respective regionals before being eliminated. The last team to win a regional, super regional and get to the World Series was Indiana 5 years ago. Northfield senior Anna Driscoll will continue her golf career after recently signing a letter of intent to play and continue her education at St. Xavier University. Driscoll, who is undecided on a major at this time, served as Northfield’s team captain during the 2017 season.